New ways of working call for new ways of managing risk. Mobility, flexwork, bring-your-own device (BYOD) and increased collaboration across organizations have changed the risk profile and undermine existing IT architectures. The challenge is to allow people the flexibility they need for optimal business productivity while ensuring the security and compliance required by the enterprise. 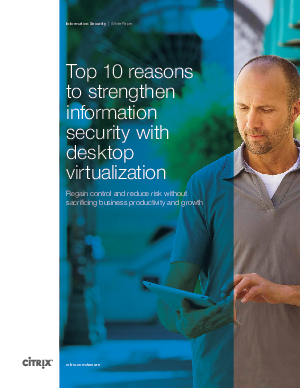 This paper describes how desktop virtualization can help regain control and reduce risk without sacrificing business productivity and growth.